in the early morning winter light. Noon, and the sky is sparkling blue! Good morning, Merisi, from a very chilly New York. Sometimes that blue sky that follows snowfall seems brighter because of the sun lit snow below. 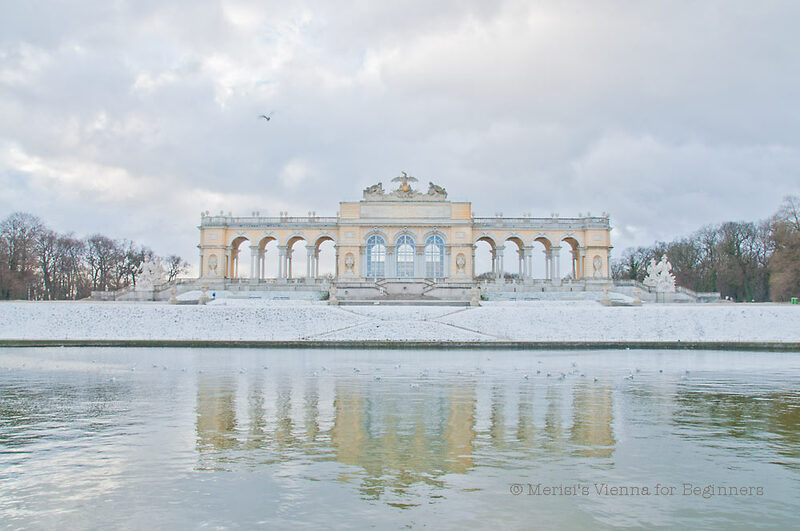 Your photographs of the arrival, stay and departure of Viennese snow are superb. We are greatly indebted to you for capturing so many views and moods. Some of your photos are filled with romance; some, like those of the gardener on the go, are lighter commentary on how we humans cope with flakes. 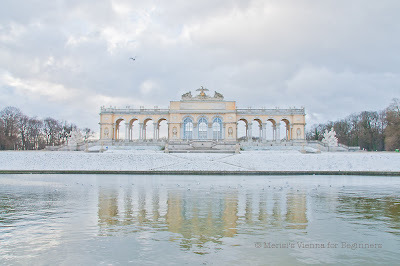 Nice week-end in Wien Merisi ! I love the reflection on the water. Stunning!